This French camp program is offered to children who are in French immersion or French schools from SK to grade 6. Children in this program are expected to express themselves at grade-level. 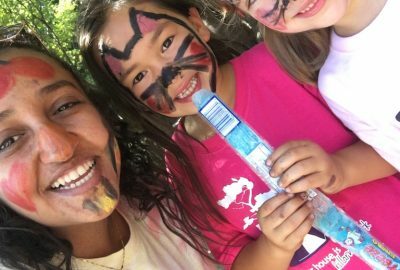 We understand that children at all ages have different abilities, particularly after only a few years of French instruction; that’s where our camp comes in! In this supportive context, kids are encouraged to share, learn, and try new things. Activities and themes change week to week. See you there! 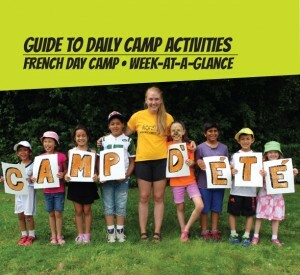 French Camp daily activities include: Organized sports, arts or crafts, cooperation games and board and card games. Each day will end with a big camp game that will see all campers from all the different groups come together to play. 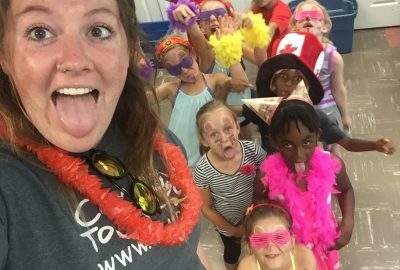 Campers will also take part in a creativity club each week where a short presentation of a skit or song will be develop by each group on a new theme. 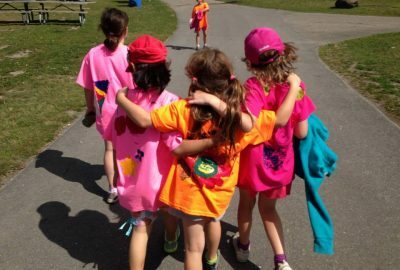 Campers will develop their choreography, script, costumes and make-up together as a group. On Friday, each group will present their creation to the rest of the camp in the hope of winning the prizes! 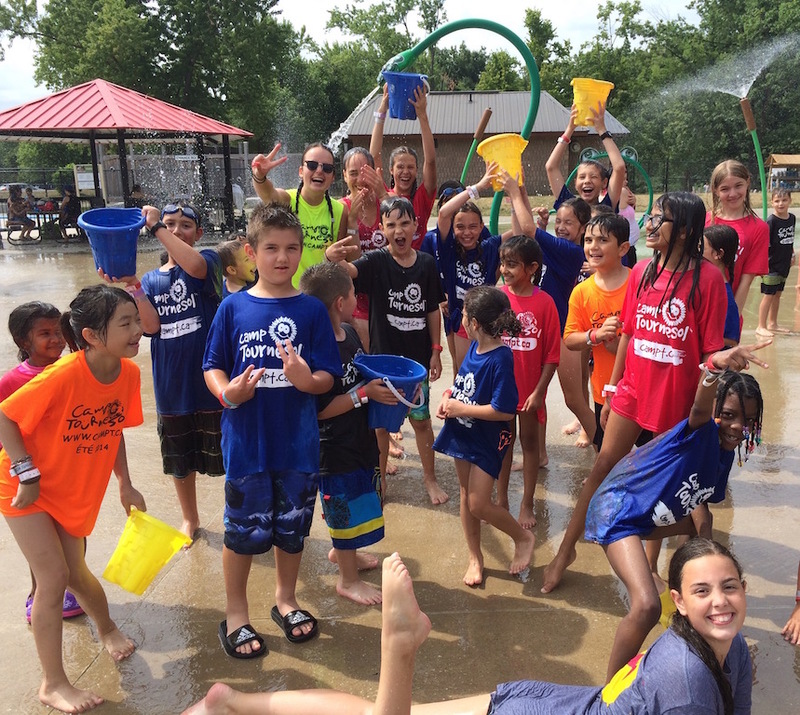 On Thursday, we head to a local splash pad where the children will spend some time playing water games, go on a nature walk and participate in large camp games! 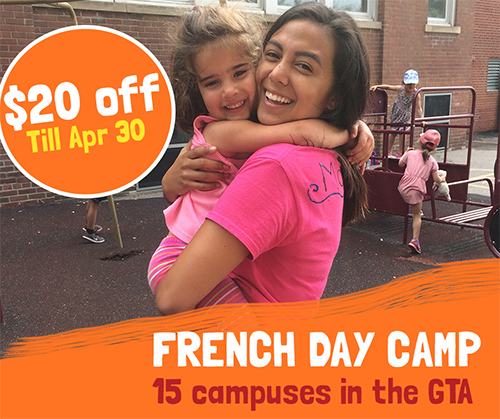 At our French summer day camps throughout the GTA, all programming (the activities, crafts, field trips etc…) is different from week to week so you can register for multiple weeks for LOTS of fun in French this summer! 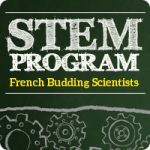 This program is exclusively offered to students in French immersion or French schools so that we can maintain the French conversation all day! 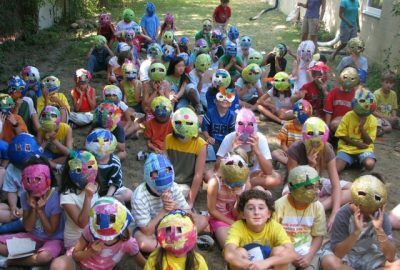 Our 6 and 7 year old French campers are known as “les curieux,” or curious ones. 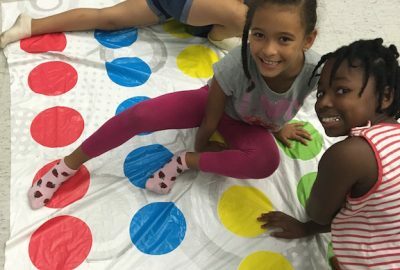 These campers will enrich their French learning in a more structured environment with language activities adapted to their age and level of French. Vocabulary and sentence structure are key areas of focus that will be intentionally developed. Is your child curious about the world around them? Do they like to run their own science experiments, build structures, or jump for joy when they see rockets shoot into the air? Our Low Tech STEM specialty is perfect for them. With a new physics-based theme every day, campers will test gravity, set off (safe) explosions, build strong structures, and show off their knack for science along the way. Perfect for the scientific camper while also boosting their French skills. This specialty option is offered exclusively the week of July 30th at most of our campus. For more information visit the specialty program page.